NASSAU, Bahamas -- The Coast Guard is searching for a woman from upstate New York who reportedly fell overboard from the Carnival Ecstasy cruise ship near the Bahamas Wednesday. The Coast Guard said 32-year-old Rina Patel of Interlaken was reportedly seen falling overboard around 2:30 a.m. from the 11th deck. The ship was about 27 miles southwest of Freeport, Bahamas. The Coast Guard is searching the area with planes and boats. Patel was least seen wearing a white dress with a pink floral pattern. 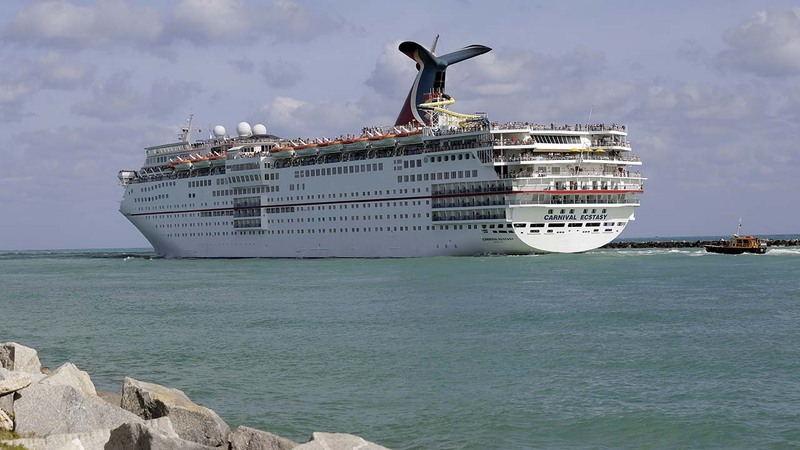 The Carnival Ecstasy's last port of call was in Nassau, Bahamas on Tuesday. Their next port of call is scheduled to be in Charleston, South Carolina on Thursday.